It all starts here! In this gallery you'll find issues #1-20 of T.H.U.N.D.E.R. Agents featuring work by Wallace Wood, Steve Skeates, Reed Crandall, Al Williamson, Steve Ditko, Jerry Siegel, and many others! All books and stories in this gallery have lapsed into the public domain. The most popular member of the T.H.U.N.D.E.R. 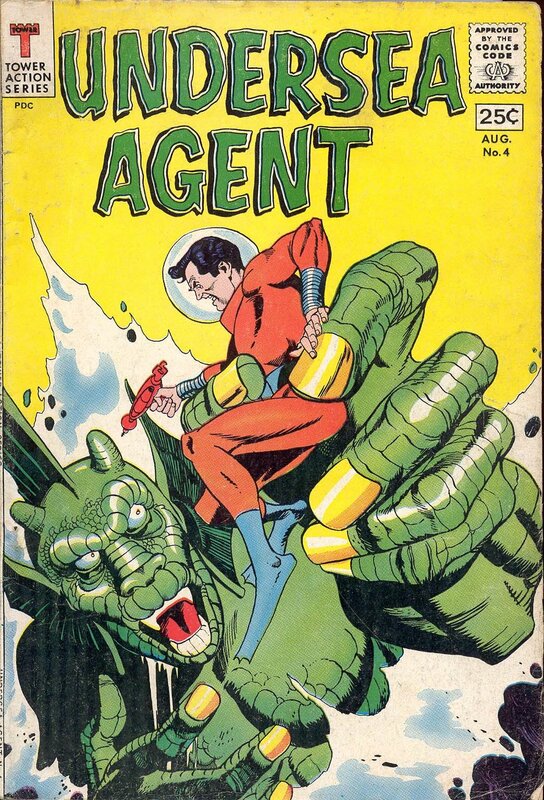 Agents gets his own series, featuring work by Wallace Wood, Joe Orlando, Steve Ditko, Reed Crandall, and many more! In this gallery you'll find issues #1-4 of Dynamo. All books and stories in this gallery have lapsed into the public domain. The weirdest member of the T.H.U.N.D.E.R. Agents gets his own series! 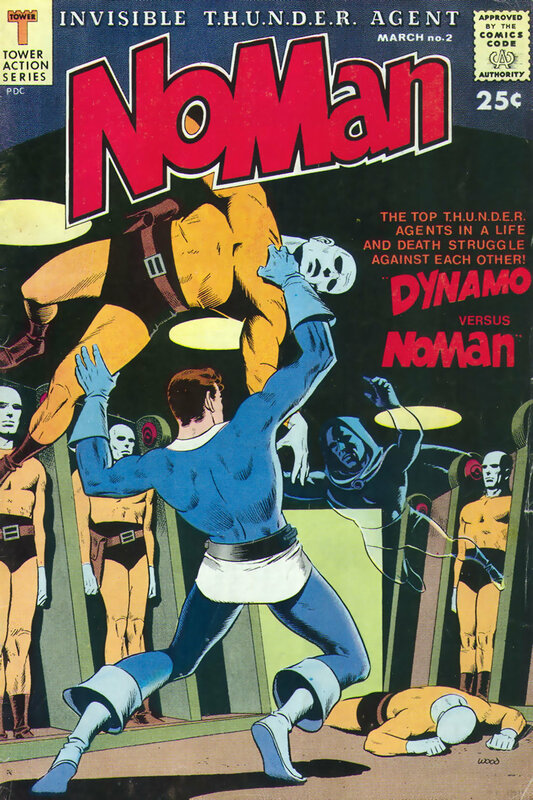 In this gallery you'll find issues #1-2 of NoMan, featuring work by Steve Skeates, Wallace Wood, Al Williamson, and many more! All stories and books in this gallery have lapsed into the public domain. Is your favorite Bond film Thunderball? Do you secretly wish that Karl Stromberg's underwater paradise was real? If so then you'll love the adventures of Davy Jones and the United Nations Department of Experiment and Research Systems Established at Atlantis! In this gallery you'll find issues #1-6 of the Tower Comics series Undersea Agent, featuring work by the great Gil Kane and many others! All issues and stories in this gallery have lapsed into the public domain.